Ian Walling has been the general manager of Arlo’s, a popular vegan burger and taco truck in Austin, TX, for three years. We asked him for some expert advice on food truck ownership and operation, what sort of challenges owners can expect to face and some of the secrets to the success of Arlo’s. 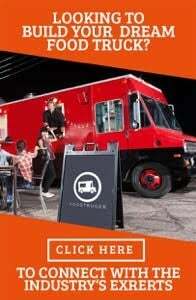 Just like any small business or startup, owning a food truck is a huge commitment. There’s no getting around it: you will need to compromise on sleep, personal time, social time and freedom. And staying afloat isn’t enough. You need to keep your people skills sharp, dealing constantly with vendors, customers and employees. At Arlo’s, Walling manages payroll, scheduling, ordering and delivery, among many other things, leaving the owners with the mental energy to make the bigger decisions. It’s important to ask yourself who is going to do all the dirty work, the paperwork and the grunt work, because if you don’t want to do it, it’s best to hire general managers and shift managers who can. One huge difference between a food truck and a typical restaurant is the customer-volume to kitchen-space ratio. 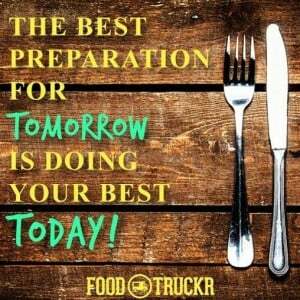 Food trucks don’t have any storage, fridge or freezer space to spare, so managers really need to stay on top of orders, deliveries and prep cooking to ensure availability of key menu items. Walling advises that managers expect to be making shopping lists at 3 a.m., submitting multiple orders a day to the same vendor and picking up the slack on prep cooking when needed. A huge contributor to Arlo’s great reputation, says Walling, is their commitment to having a consistent product and reliable hours. Irregularity is the name of the game for food trucks, so you need to be prepared at all times. From emptying and filling water tanks, to changing out propane tanks during a rush, to checking city permits, there’s a lot of things that food trucks have to deal with that normal restaurants don’t. 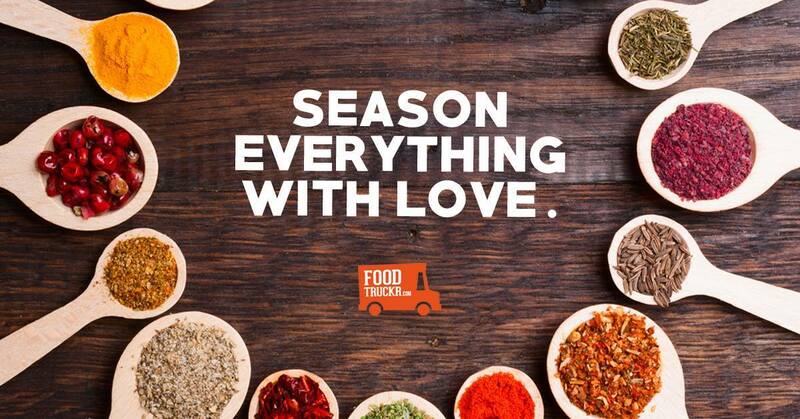 “The weather rules the food truck business,” says Walling. Through sweltering heat, freezing cold and pouring rain, it’s crucial that you remain open during your posted hours, and prepare for any challenges the weather may bring, including flooding, freezing and overheating. And there are other considerations, if you’re often on the go or do catering orders, to make sure pots and pans aren’t falling off the walls. A popular misconception of food trucks, says Walling, is that the food will be faster than at a regular restaurant. One of Arlo’s most popular locations has maintained a steady 4.5 rating on Yelp for years. Their secret? According to Walling, it’s simple: happy employees make for happy customers. At least at first, it’s probably not in the budget to pay your employees a ton of money, but it’s important to remember that your employees have their own lives, so respecting their time, scheduling needs, time-off requests and personal concerns will earn you loyalty more than an extra dollar could. As with everything else, if you’re not prepared to handle the downsides of people management, hire someone who is. Walling is the first to admit how difficult it can be to assert your authority when you’re trying to maintain a positive and fun atmosphere, but it’s all part of the job. It’s also important to show that you’re not too good to get dirty in the dish pit, or get sweaty next to the frier, like everyone else, when the situation calls for it. And remember that your attitude affects everyone else’s, so lead by example. But it’s not a get-rich-quick scheme (or a get-rich-slow scheme), and those who succeed, don’t do it for the money.